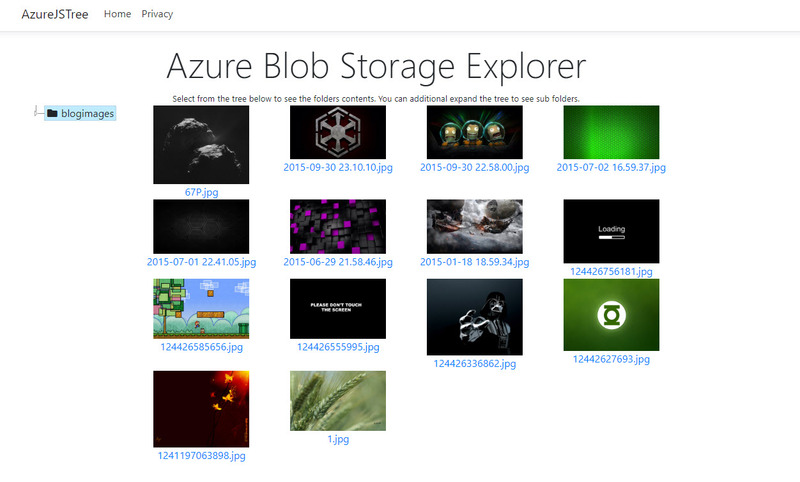 I recently had a need to provide an interface for some users to our Azure Blob Storage. Rather than download the Microsoft Storage Explorer and give the users access to the storage account I decided I would make a web based storage explorer. The two main needs were: The users needed to be able to navigate around the blob containers the users needed to be able to download archived files. © 2019 Fighting4Sanity All rights reserved.